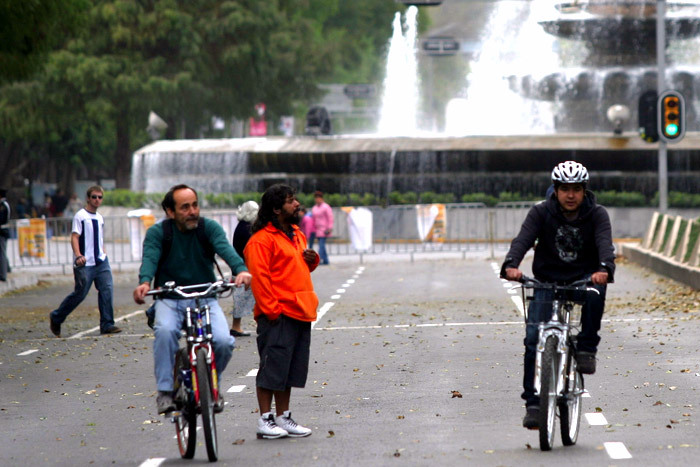 Activists in favor of cycling in Mexico City, formed a huge figure of this transport on the esplanade of the Monument to the Revolution. According to figures from the Paseo de Todos organization, the Republic Square arrived about one thousand 200 people dressed in red to form the silhouette of a bicycle 500 meters. Organizers said it seeks to promote the bicycle as well as a call to respect all users circulating in the streets of Mexico City, an activity which in recent years has been increasing.